one of four campuses of the new North-West University. The North-West University is a newly merged institution from 1 January 2004 onwards with four campuses at Potchefstroom, Mafikeng, Vanderbijlpark and Mankwe. The Potchefstroom Campus (founded in 1869) is the largest, and the head office of the University is situated at this location. With its merged status the North-West University became one of the bigger universities in South Africa with approximately 32 000 students (full-time and distance education students). The University's mission on internationalization is first and foremost focused on the advancement of research, drawing in post docs and attracting postgraduate students at Masters and PhD level. The focus of recruitment of these category students are directed at students from the member states of the South African Development Community (SADC) but also further afield in Africa, Asia and Europe. The number of international students amounts to about 300 per year, coming and going. This includes a relatively high number of students who, in terms of international agreements, take part in research projects and use research results for the completion of their theses and dissertations at their home universities. The international students on the Potchefstroom Campus represent 25 different nationalities. The Mafikeng Campus has several hundred students from Botswana, many of whom are undergraduate students supported by grants from the government of Botswana. North-West University’s other campuses have relatively small numbers of international students. Exchange of staff with international academic partners takes place regularly. Fulbright and other international agencies from Europe and elsewhere play an important part in this respect. Engineering and the different facets of engineering is one of the attractive fields of study for international students. In addition to Engineering, the following fields are also available: Pharmacy Communication Political Studies Environmental Studies Social Work Agriculture Nutrition and Nursing Sciences Economics (in particular International Trade) and l International Law are also popular academic attractions. Generally, international students engage in a variety of study fields. HIV/Aids, with all its social, economic and medical implications also draws attention by students from abroad. With the exception of a medical faculty, most sciences are covered by North-West University, which is indeed a comprehensive institution. In its continuous quest to be a university of international standards, the promotion of quality and innovation in education and research is a priority. 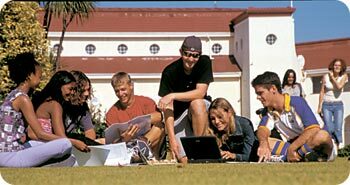 The University (Potchefstroom Campus) focuses on core competencies – its areas of expertise. With the allocation of extra research funds for the development of these focus areas and a comprehensive international quality system, the University has drawn international fame. The areas of expertise are: Languages and Literature in a South African Context; Sustainable Social Development; Environmental Sciences and Management; Separation Science and Technology; Business Mathematics and Informatics; Space Physics; Reformed Theology and the Development of the South African Society; Teaching-Learning Organizations; Unit for Decision-making and Management for Economic Development; Development in the South African Constitutional State; Energy Systems; Drug Research and Development; and Preventative and Therapeutic Interventions. A Foundation Year programme was established at the former University of the North-West, the present Mafikeng Campus, in 2000. The programme serves to prepare students for entry into degree programmes catering for students without matric exemption or equivalent, matric with conditional exemption, matric with school learning certificate, GCE – O levels, and qualification/exemption by mature age. This includes students from SADC countries. The development of the above-mentioned areas of expertise is a main academic attraction of this institution. The North-West University is focused on maintaining its international academic standards, on being entrepreneurially-oriented and on excelling in service to its country and its people.